With our sustained efforts & experience manpower, we have been able to manufacture and supply Froot Washing Modular Conveyors. The conveyor offered by us is developed with contemporary techniques using finest quality of material in fulfillment with the set standard of market. We offer this conveyor in varied specifications and deliver within the given time. 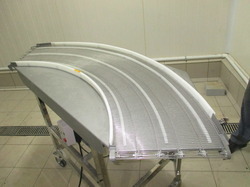 Offered conveyor is checked on several parameters of quality in order to supply a defect free range. With the help of our professionals, we have been able to offer our clients an extensive range of Wire Mesh Conveyors. We serve many industries including food processing, heat treating by this conveyor that is widely demanded for its performance. The offered conveyor is manufactured keeping in mind the sett norms of industry using high grade material & contemporary techniques. 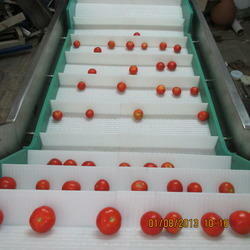 Customers can avail this conveyor from us as per their needs at reasonable prices. Looking for Washing Conveyors. ?